At least nine people are reported to have been killed, and nearly 60 injured, including policemen, after a car bomb detonated near police headquarters in the southeastern Turkish city of Gaziantep, near the border with Syria. 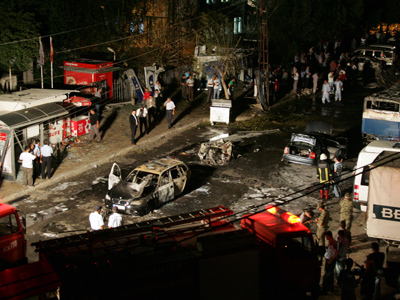 The bombing took place at around 8 pm local time (17:00 GMT). According to local media, the car was parked near a police headquarters. "Unfortunately we lost eight citizens and nearly 60 people are being treated at several hospitals, according to our initial information," Gaziantep Governor Erdal Ata told reporters. The explosion was probably caused by a remote-controlled bomb, Ata told Turkey's Dogan news agency. Two passenger buses close to the bombed vehicle also caught fire, while several cars parked nearby were severely damaged. Some people were reportedly burned alive as they were unable to escape from the burning vehicles. 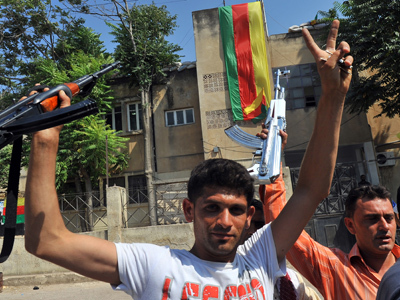 The banned Kurdistan Workers Party (PKK) has denied responsibility for the attack. Earlier reports suggested its members had carried out the assault. The terror acts by the group are a frequent occurrence in southeastern Turkey. Before the car bombing on Monday, two specialist sergeants were killed and a soldier was injured after a military vehicle blew up on what was believed to be a PKK mine in a rural area of Hakkari province.